The run home: Who will make the top four? 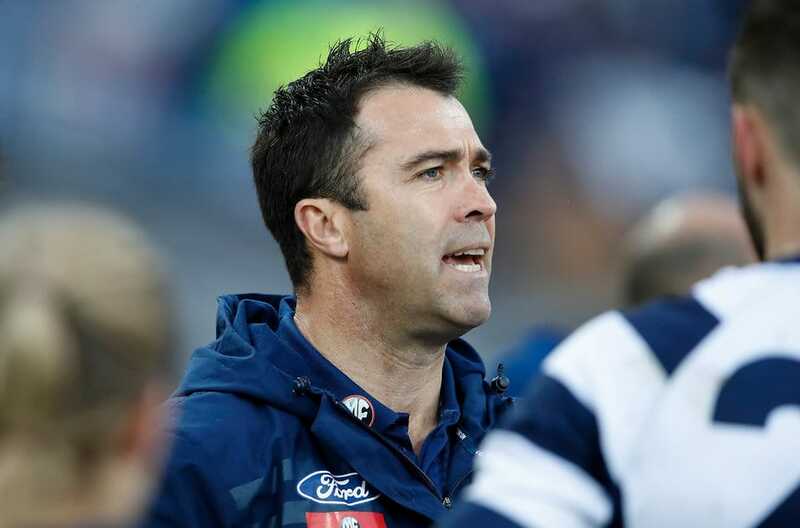 GEELONG coach Chris Scott has signed a long-term contract extension, tying him to the club until the end of the 2022 season. Scott, who was already contracted until the end of next year, didn't hesitate in signing a new deal. "It's a commitment to the path we're on as a group, and it's clearly not just me, it's our coaching group as well, we've got some pretty good stability there," Scott told Fox Footy's AFL 360 on Monday night. "We have been through a period over the last probably seven to eight years, transitioning our list, trying to rebuild a little bit on the run. It's probably a reflection that we still think there's a fair way to go on the journey we're on. "We have some young players in our team, I think it's 15 debutants over the past [two] years that we have high hopes for. I'm really looking forward to working with Tim Kelly for a long time, Esava Ratugolea, Tom Stewart, Lachie Fogarty, Charlie Constable, it's a big group of players who are quite new to our club. "It still feels pretty fresh for us all, and we're aware there's still a lot of work to be done." The 42-year-old has been the club's senior coach since the end of 2010, winning the 2011 premiership in his first season in charge. He has the highest winning percentage of any AFL coach who has been in charge of at least 100 games, with 130 wins from 188 matches to give a figure of 69.5 per cent. Geelong president Colin Carter said Scott was one of the "best coaches in the AFL" and the team was in good hands. "We have seen a great period of change with our list, with only four members of our 2011 premiership team still with us," Carter said. "To have been able to integrate so many new players into our club, play attractive football and keep us consistently in the finals mix has been an exceptional effort. While many people are involved in our football department, Chris has led the coaching group brilliantly. "The AFL's equalisation measures are there to force successful clubs down the ladder, so to have come through this period and to remain in contention year in, year out has been a credit to Chris and his coaching group. "We are excited that we have reached this agreement and look forward to Chris continuing his great work with us over the next four years." The Cats currently sit eighth on the ladder, on the cusp of Scott's seventh finals series in eight years.